Sarge is an army brat. All his family have been involved in the military. He has seen lots of the world, but now he’s ready to settle down and make his home with YOU! 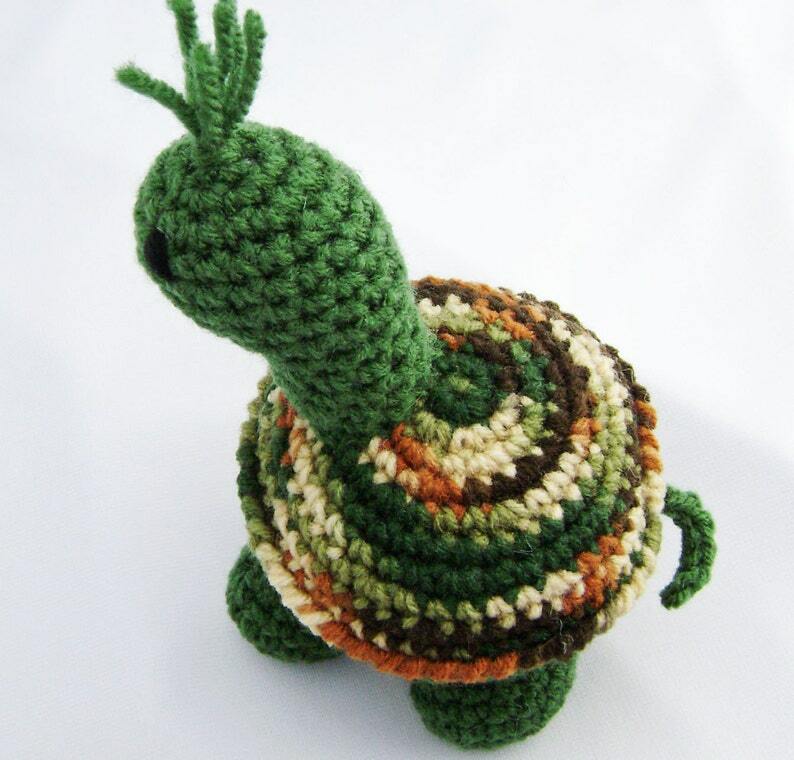 Sarge is a crocheted, stuffed (amigurumi) turtle, He is made with acrylic yarn and polyester fiberfill. His shell is made with a variegated yarn in shades of beige, rust, brown and, of course, army green. His body is a solid olive green. Sarge stands about 6.5 inches (16.5 cm) tall and is about 5 inches (12.7 cm) wide. His eyes and sweet smile are embroidered with yarn, making him very child friendly. I created Sarge in a smoke free, dog loving home, using a pattern designed by Sue of HappyWhosits.